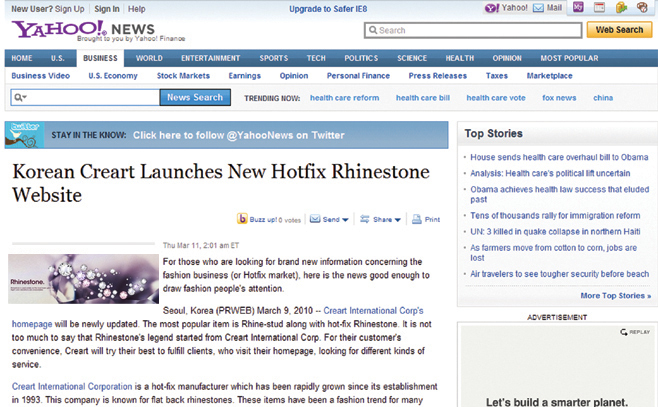 The news article of newly updated website of Creart International Corp. is posed on the YAHOO NEWS. Please go and check this news for the information you may need. Creart International Corp will be a good business partner which is reliable and loved by customers.